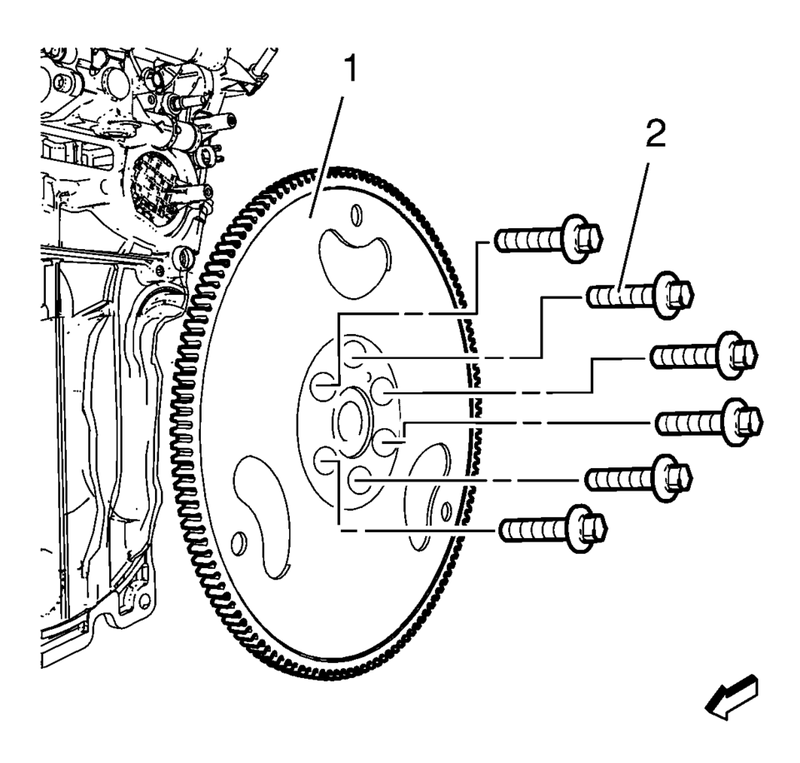 Install the EN-652 holder (1) to hold the automatic transmission flex plate (2). Loosen the 6 automatic transmission flex plate bolts. Remove the EN-652 holder (1). Remove the 6 automatic transmission flex plate bolts (2). 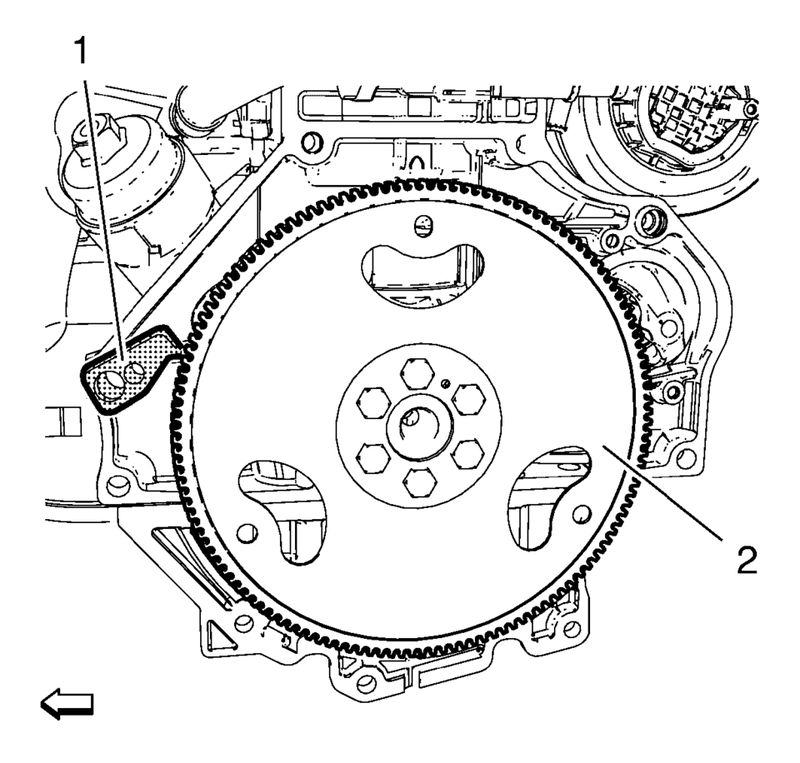 Remove the automatic transmission flex plate (1).